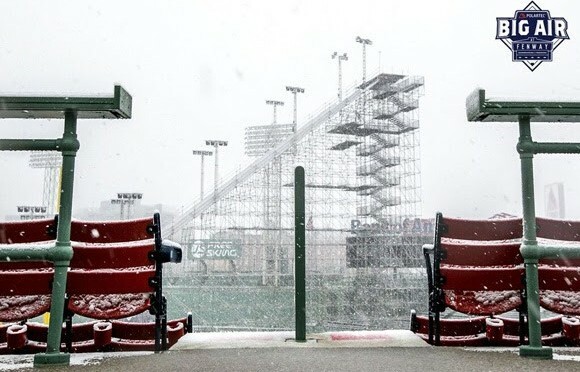 Boston, MA – The U.S. Grand Prix will break new ground this week when it presents the Polartec Big Air at Fenway, a scaffolding big air event situated in the center of one of America’s most iconic baseball venues: Boston’s Fenway Park. 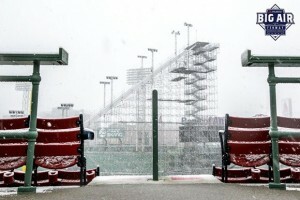 Never before has the U.S. Grand Prix featured a big air-only event, and never before has freeskiing and snowboarding been presented in such an historic American venue. 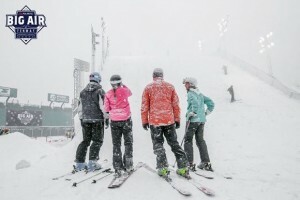 The Fenway big air event will feature Olympians such as Sochi slopestyle gold medalists Joss Christensen (Park City, Utah) and Sage Kotsenburg (Park City, Utah) and silver medalists Gus Kenworthy (Telluride, Colo.) and Devin Logan (West Dover, Vt.). The scaffolding drop in at Fenway will reach a height of 140 feet—taller than the stadium lights and nearly four times the height of the famed Green Monster at the 104-year-old venue, the oldest in Major League Baseball. With a festival-type atmosphere, a Boston-themed line-up of musical acts are slated to perform, including the bands American Authors and Bad Rabbits, along with a premiere of Teton Gravity Research’s new film The Sammy C Project. Tickets are still available. The event will also serve as a World Cup and points will also go towards and the Association of Freeskiing Professionals (AFP) rankings and the World Snowboard Tour (WST) rankings. Both events will be broadcast on NBC and NBCSN along with live streaming of the finals on nbcsports.com and on the NBC Sports LiveExtra app.